Four alleged gang members have been arrested on Luton’s streets on gun and drugs charges during a police crackdown. 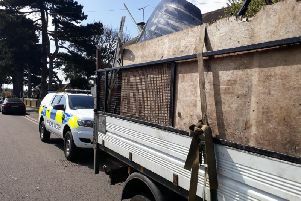 Operation Malting ran for three nights between Tuesday and Thursday of this week, with Beds Police targeting gang members across Luton. During the operation, officers carried out stop searches and arrested four people for offences including possession of a firearm and possession with intent to supply Class A drugs.